Honestly, I was a little shocked. 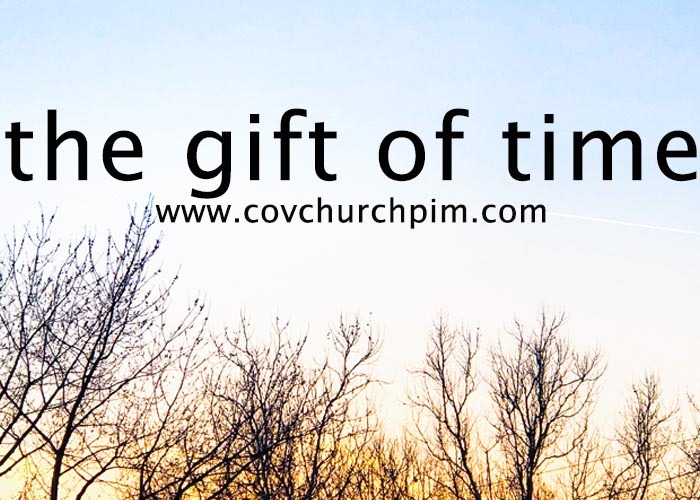 Giving our time away to other people is what ministry people do. What we lack in financial generosity is often made up by our gift of time. Showing up when no one else does, being present to all seasons of life, providing a compassionate listening ear when all seems to be lost… Giving our time is often more noticed than the giving of our treasure. I must have missed a trick or two because I hadn’t picked up on the clues that my husband was ready to take some time for ourselves. Which isn’t terribly surprising if you are me. We spend a lot of time being told, for good or ill, what we have to do with our time. Meetings, programs, visitation, prayer, Sunday morning worship all need to happen. And I think, individually, my husband and I are good at taking time for ourselves during the day because we have fairly flexible work schedules. But what is harder to come by is time we are all together as a family when the adults aren’t tired. Or time where we have time to dive deep into conversation with each other instead of hurried conversations in passing. So, I am glad my husband doesn’t have full control over his facial expressions when we talk at home. His face gives away a lot. As we are easing back into our typical schedule, I am much more aware of how we as a couple, as a family and as individuals are giving away our time. Even though our life is full of places where we have to give our time, I am striving to not squander the time I am fully free to give. How about you? Does this ring true for you too?